Our sin earns us death. God's grace gives us life. The difference between these two extremes? 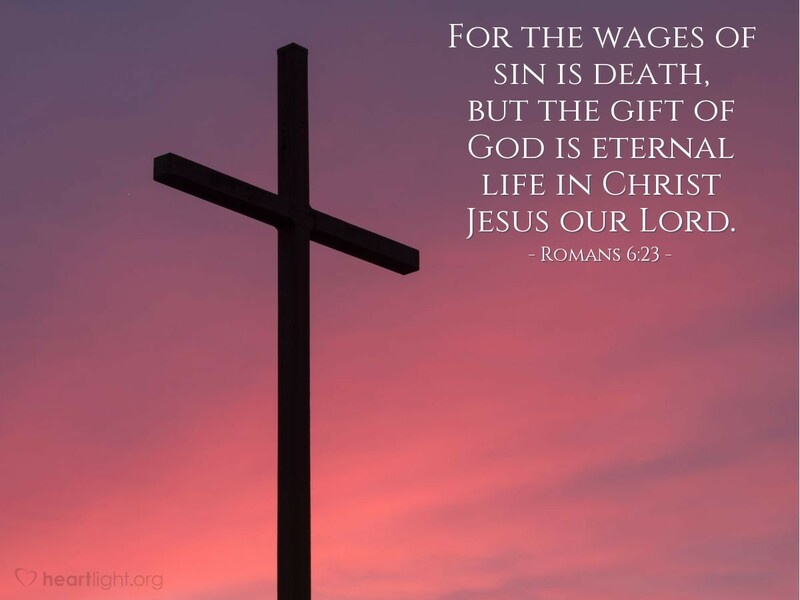 The Cross of Christ which spans the chasm of our sin and brings us to the mercy, forgiveness, and redemption of God! Holy Father, thank you for saving me through Jesus. Lord Jesus, thank you for paying the price for my sins. Blessed Holy Spirit, thank you for cleansing me and making me God's holy dwelling place. In Jesus' name I pray. Amen.